If hugging is a common greeting in the States among friends and family, French people almost never hug. When I arrived for the first time in the States, it was so awkward to me that it actually took me about six years to feel comfortable enough to truly hug my friends. 1 – Do Frenchmen Kiss? Frenchmen mostly shake hands: a firm, strong shake, looking into the eyes. If you are really happy to see the person, you may cover your handshake with your other hand, or put one hand on their shoulder. Younger Frenchmen often kiss each other. It’s also common among close friends and family members. And it’s also a question of personal preference and social class. 2 – Do Frenchwomen Kiss? Women shake hands in a professional situation, or if they don’t know each other at all, but move on to kissing very quickly, even at work among colleagues — with both genders. 3 – Do French Kids and Teens Kiss? French kids usually kiss adults. They may kiss or just wave “hi” to another kid. Same goes for French teens. In any case, when you arrive in a French home, the kid or teen will come and say “bonjour” or “bonsoir” to you. It would be considered very rude if they didn’t. They may stay with you for the social evening, or just stay for the appetizers, or directly go back to live their lives, but they will come say “hi”, introduce themselves, exchange a few polite words. And then, French kids / teens will come say “au revoir” when you leave, unless it’s very late. 4 – Do All French People Kiss? In any case, you’ll receive a handshake or a kiss. French People don’t just say “bonjour” or “au revoir” without doing one or the other to go with it – I mean you won’t at a cash register or in a boutique, but you will shake hands if you are engaging in a relationship with someone. For example, we shake hands with contractors we hire or even interview. 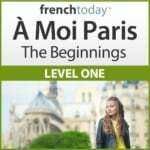 5 – Do You Have to Kiss the French? 6 – Handshake or Kiss in France? The gesture may evolve from a handshake to a kiss: you may arrive at a party and shake hands, then socialize, make friends, and get kissed when you leave. The kiss is more of an air kiss, but the cheeks do touch, unlike the American air kiss. Parisians usually kiss twice, once on each cheek, and it will feel weird if you stop at one. In other parts of France, the French kiss up to 4 times! Learn more about kissing and hugging in my French Politeness masterclass. This is also a question of social class. The higher up in social class, the less kissing and more handshaking. In more relaxed social classes or with younger crowds, men often kiss each other. Always on the cheeks, usually twice. They may even hug a bit, but more of a “tap on the back” kind of motion, never a big American hug. f hugging is a common greeting in the States among friends and family, French people almost never hug. When I arrived for the first time in the States, it was so awkward to me that it actually took me about six years to feel comfortable enough to truly hug my friends! Actually, we don’t have a proper word for “a hug” – you can say “une étreinte” but it’s kind of an old-fashioned word that describes the action of holding someone in your arm. French men often give each other a sort of pat in the back kind of hug gesture. But it’s very short and the upper body doesn’t really touch. If you haven’t seen someone in a long time, or are really moved for some reason, you could possibly hold him/her in your arms quickly, but it would be rare and still, it would not be exactly the same body position as an American hug. So, in other words, no French hug comes close to the big fat hug you’d give to a good friend in the US! To learn how to avoid to accidentally say to someone you like that you are in love with them, study the uses for the verb aimer in French. 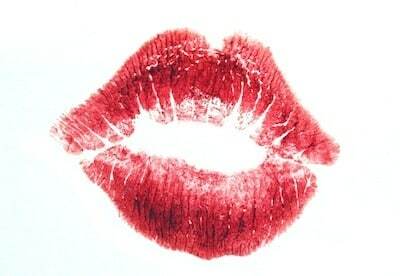 Another big faux pas to avoid: the verb “to kiss” embrasser ≠ baiser. And memorize French love nicknames with this audio post.